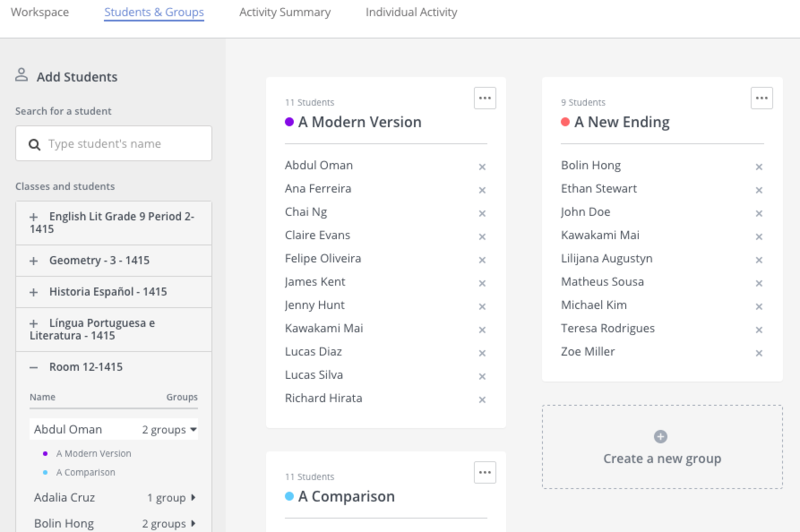 There are two ways to add learners to Groups, automatically or manually. Workspace has a quick start feature that automatically adds all the learners from a class to be automatically added to a group when the Workspace is created. 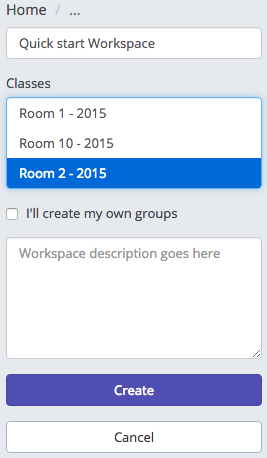 If two classes are selected then a group will be created for each class. Add a name for your group and then click save. 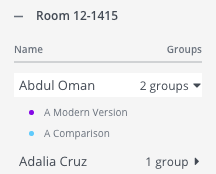 Note that this group name will be visible to learners in the group. 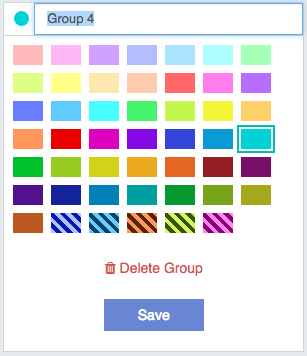 You can also choose a color for the group, then click save. On the left-hand side of the page is a list of your classes and learners. 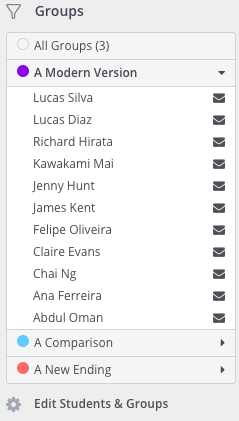 You can drag and drop learners from this list on the left into groups on the right (or an entire class). When a learner is in a group they will have an indicator showing how many groups they are in, and the group details below. Once you’ve created groups, when you go back to the Workspace, you will see the groups listed under the "Groups" heading. Clicking on the arrow will show all the learners in that group.